Phylshawn Johnson has played the drum set for over 30 years. In 2003 she moved from Kansas City, MO to Columbia, MO and began attending Moberly Area Community College. She joined the local music scene and played with bands such as Echelon, The Doxies, and Stingrays. Finishing her associates degree in 2006, she enrolled at the University of Missouri and attended from 2007-2011. Phylshawn studied percussion with Dr. Julia Gaines and took private drum set lessons from Loyd Warden. Her schooling opened a whole new world of musical opportunities. As a member of the University of Missouri Concert Jazz Band, she performed with Plas Johnson, Matt Wilson, Dave Pietro, Rufus Reid, Andy Narell, Ron Dziubla, and The Jim Widner Big Band. She also recorded albums “Vertigo” with Mike Mainieri and “Tunnel Vision” with Bobby Watson and Mike Metheny. In fall 2009, Phylshawn performed at the Lincoln Center Institute in an all female Nina Simone Tribute ensemble. In 2010, she performed at the 72nd annual MMEA conference with the Missouri All-Collegiate Jazz Band under the direction of Ronald Carter. Summer of 2010, she was invited by Rufus Reid to study jazz at Ravinia’s Steans Institute for young artists. 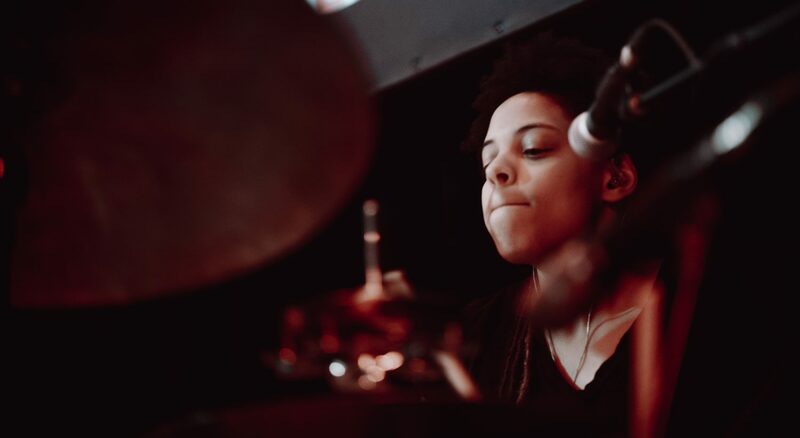 Active in the Columbia, MO music scene and community, Phylshawn teaches drum set lessons at Access Percussion, owns and manages the independent record label, The Nation of Love, is Chair of music non-profit, Compass Inc. Currently, Phylshawn plays drum set for Violet and the Undercurrents. While a member of the band, she has toured to over 15 states and recorded three albums. Other artists she’s recorded for include Edward Anderson, El Gun Legro, Rae Fitgerald, Lucas Oswald, Violet Vonder Haar and many more. In 2010 Phylshawn released her first album titled “Soul Heart”. This album features Phylshawn not only as a composer but also a multi-instrumentalist and singer. Most recently Phylshawn released an EP titled, “Across the Tracks”, on August 9, 2014. Spring semester of 2016, Phylshawn worked as the adjunct drum set instructor for the University of Missouri jazz department.